In the Hunt for Planets, Who Owns the Data? On Tuesday, astronomers operating NASA’s Kepler spacecraft will release a list of about 350 stars newly suspected of harboring planets, including five systems with multiple candidate planets. That data could dramatically swell the inventory of alien worlds, which now stands at 461, none of them habitable by the likes of us. Astronomers everywhere, who have been waiting since Kepler’s launch in March 2009 to get their hands on this data, will be rushing to telescopes to examine these stars in the hopes of advancing the grand quest of finding Earthlike planets capable of harboring life out there. But a lot of attention has been paid in astronomical circles over the past few months to what the Kepler team will not be saying. By agreement with NASA, the team is holding back data on its 400 brightest and best planet candidates, which the astronomers intend to observe themselves over abusy summer. Bill Gates, General Electric Co. CEO Jeff Immelt and venture capitalist John Doerr are lobbying Congress and the White House on a proposal to increase annual U.S. spending on clean energy research and development from $5 billion to $16 billion. Of the top 30 new energy technology companies worldwide that produce batteries, solar technologies and advanced wind energy, only four are headquartered in the United States, Doerr said. A new national map of the ecosystems of America could help keep healthy species from ending up endangered. 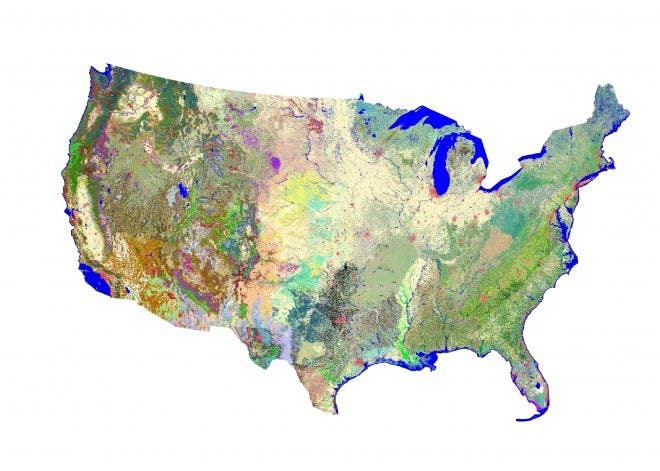 Through ground and satellite surveys of land cover, the U. S. Geological Survey’s Gap Analysis Program has generated data that conservationists may be able to use to create and sustain habitat for wildlife. “These data are critical for determining the status of biodiversity, as baseline data for assessing climate change impacts, and for predicting the availability of habitat for wildlife,” said John Mosesso, the USGS manager of GAP in a press release. “Large datasets of this type are extremely important to land and wildlife managers because they allow for analysis and planning across extensive geographic areas.” While the research and mapping related to endangered species is extensive, the rest of the animals and plants out there — known as common species — get far less attention. The Endangered Species Act, signed into law by Richard Nixon in 1973, grants extraordinary protections to plants and animals on the verge of extinction, but it does little for other creatures in an ecosystem.